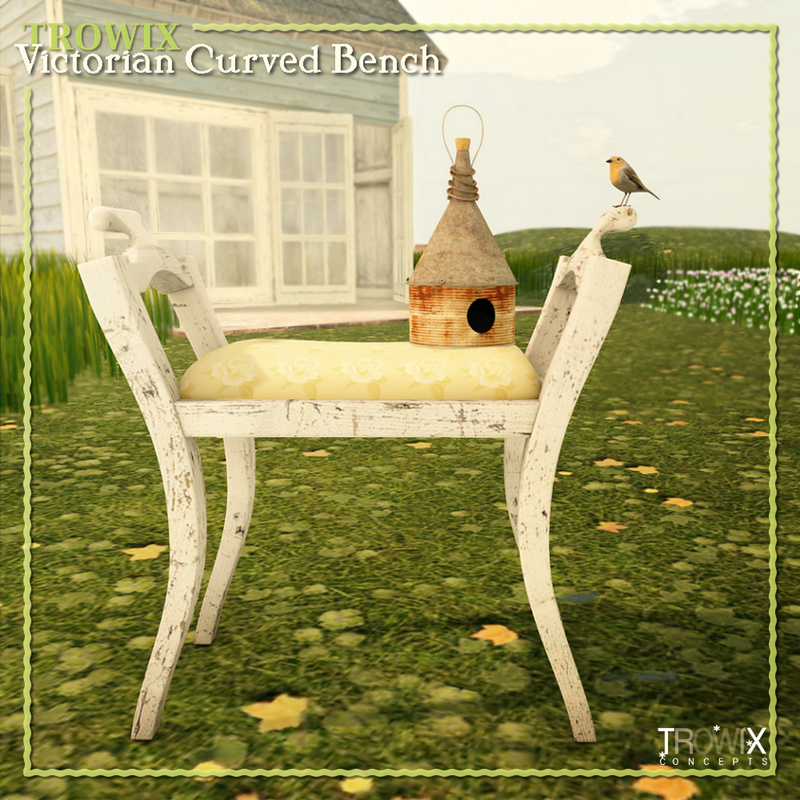 Victorian Curved Bench – Pretty! 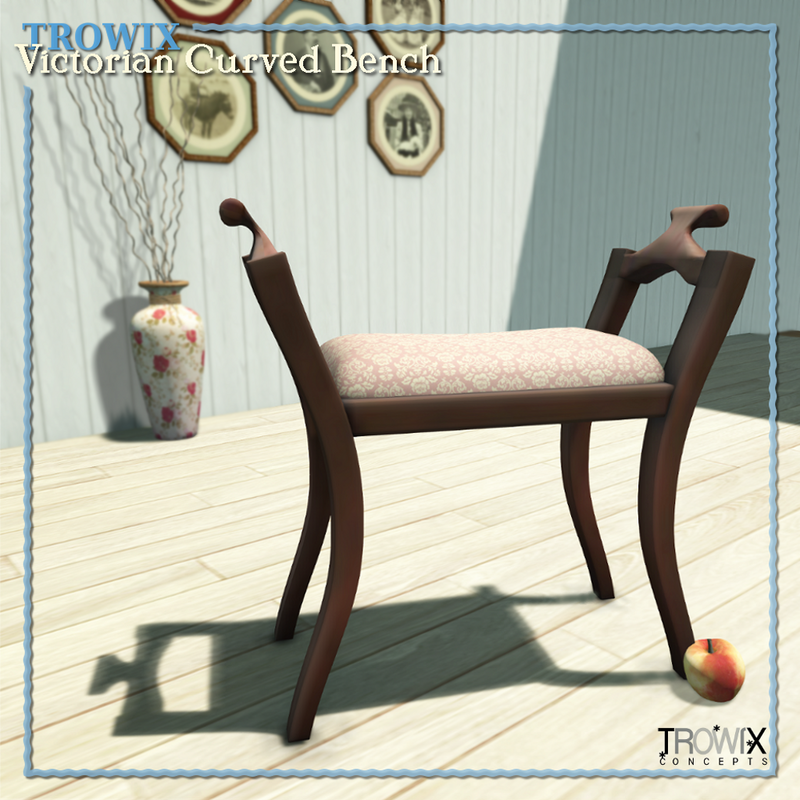 Graceful and charming, this Victorian influenced single padded bench works with most decors. Wonderful seating indoors and out. 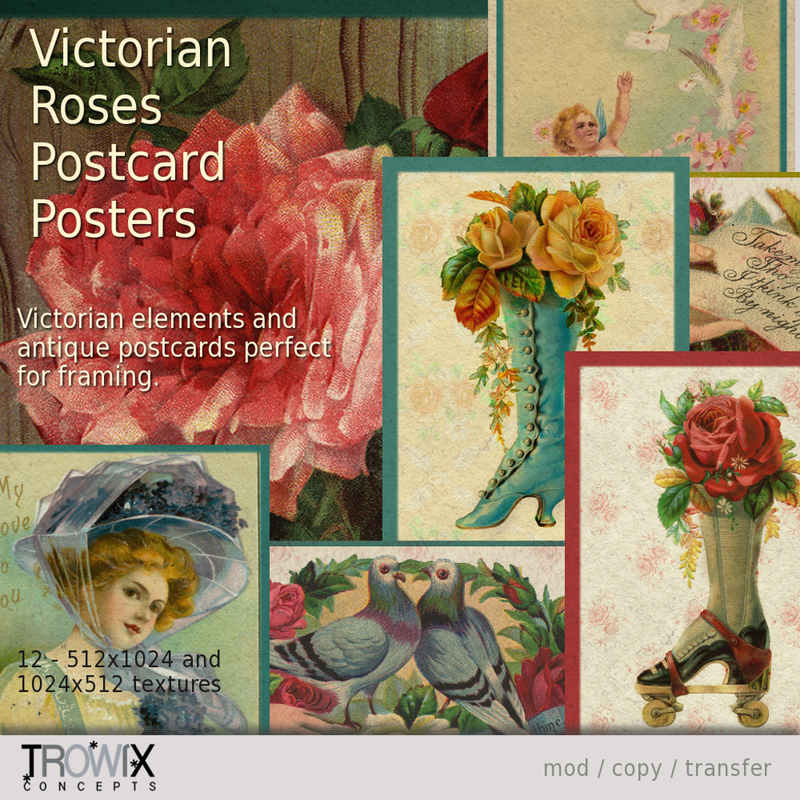 This is great for event display – shoes, purses – so much more interesting than a cube or table. 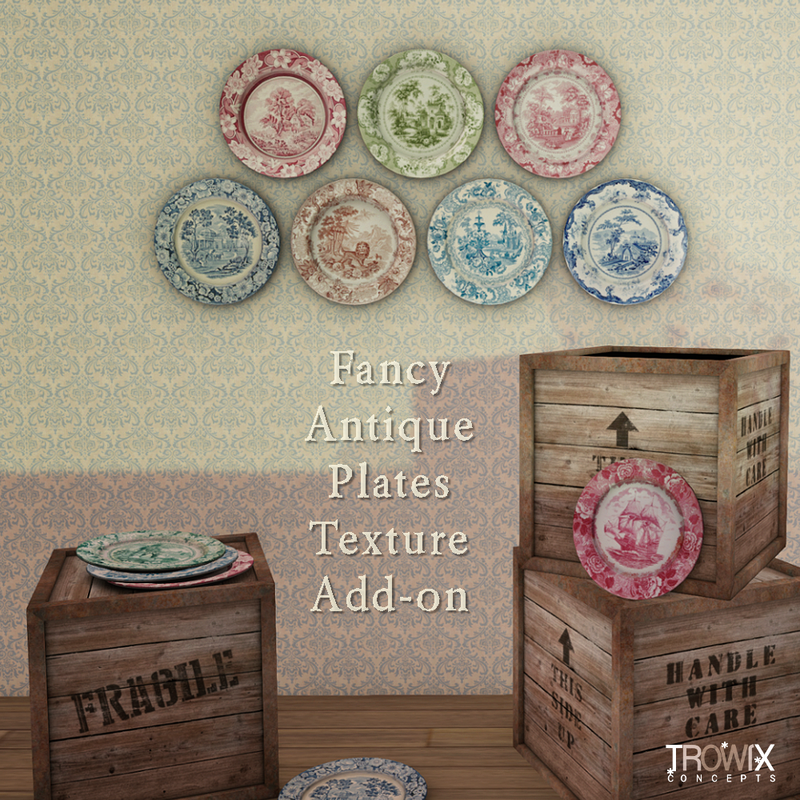 So very many textures included, you’re sure to find the style you need! 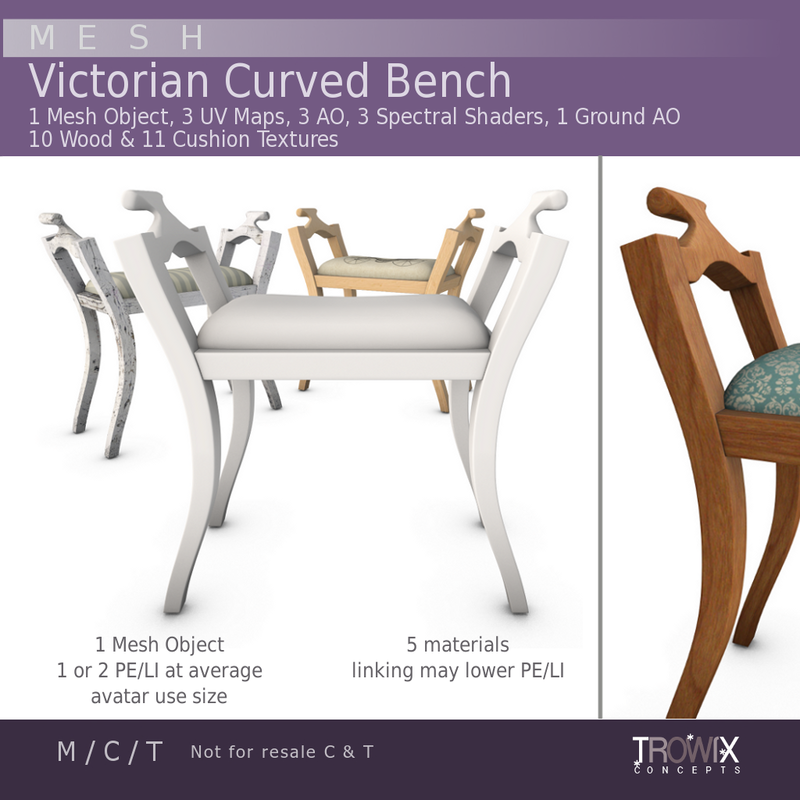 Original mesh made for SL grid with extremely low prim equivalency (PE or LI) and 7 materials / surfaces for many fun texturing options. We are your Fairy Godparents, come visit! 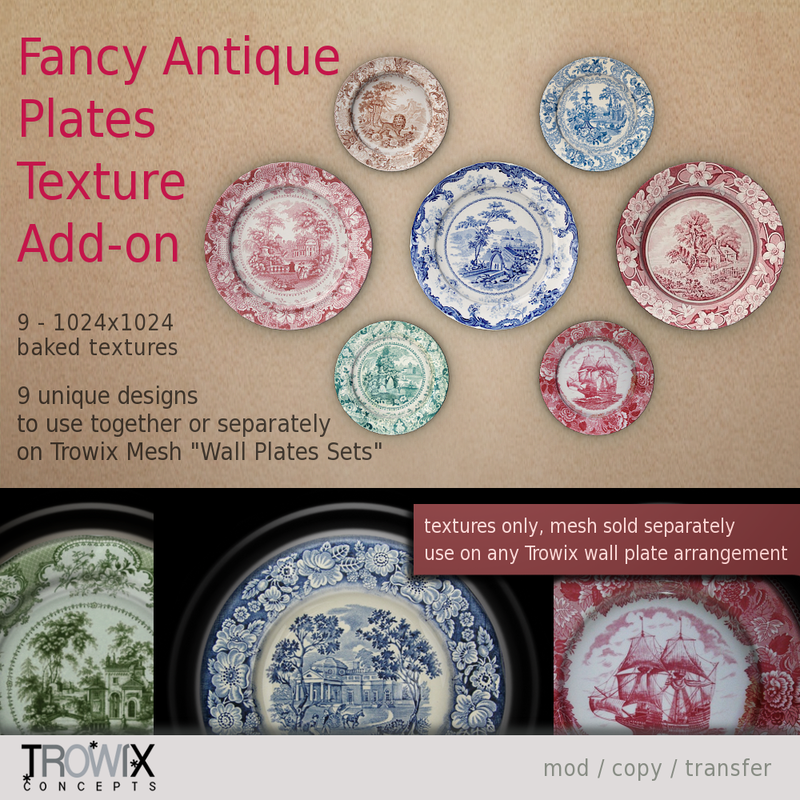 9 designs in the transferware style of Staffordshire, England baked to fit our “Wall Plate Arrangements” Mesh. This classic antique pottery is still very popular today. 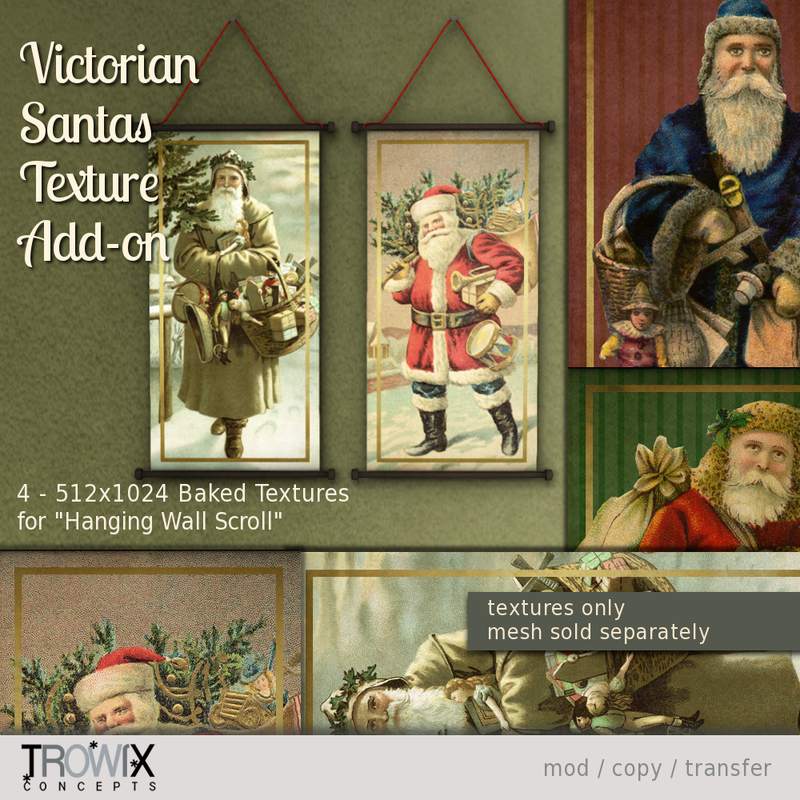 Ready-made baked textures for convenient and fast texturing made to work with all “Wall Plates Arrangements” Mesh Packs. Remember, these fit all the plate arrangements. 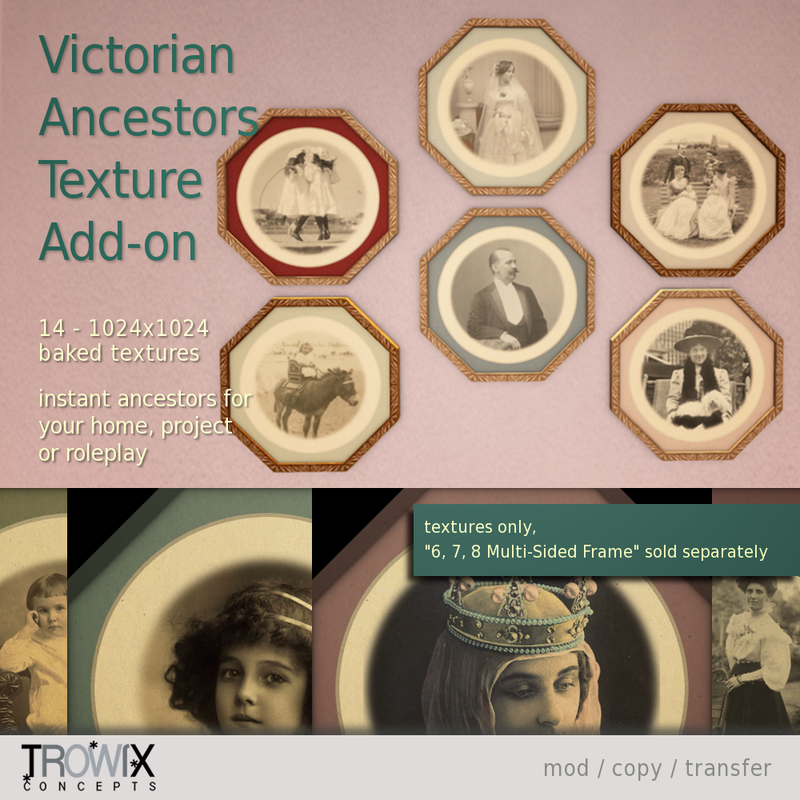 Lovely, charming and even quirky Victorian era family type portraits matted and baked will add realism to your period builds and role-play. 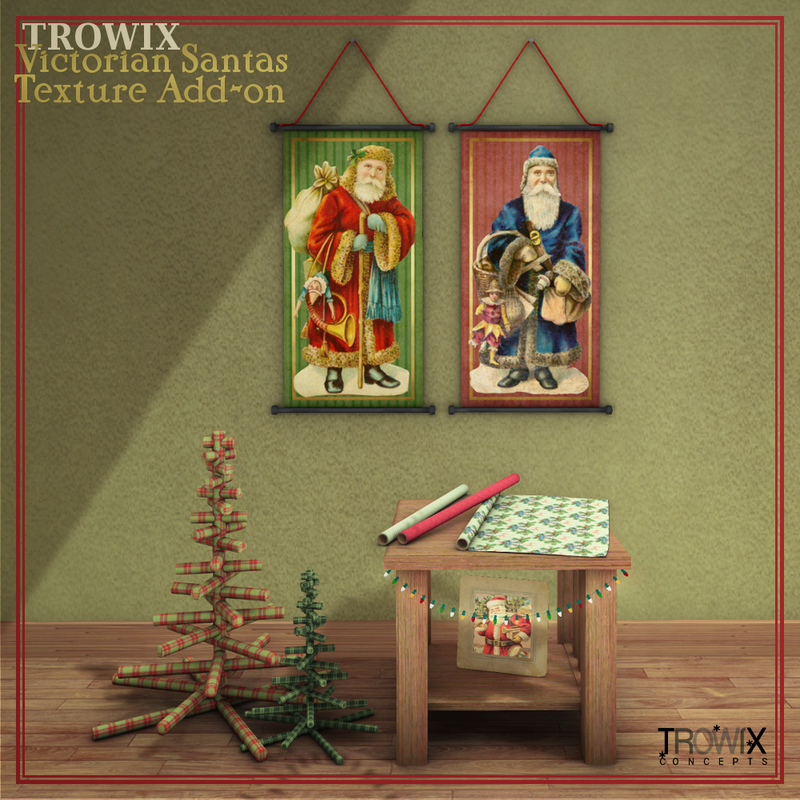 Made especially for use with “Trowix – 6, 7, 8 Multi-Sided Frame Mesh”. 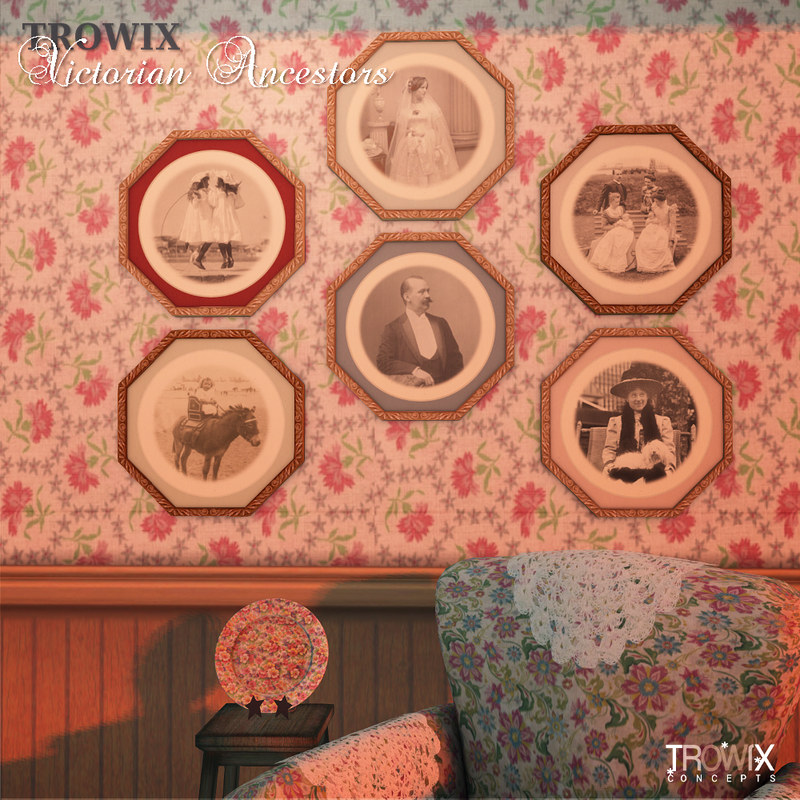 also available in our store on SL’s Marketplace, here. If it was good enough for granny, it’s good enough for you!